Slowly Rolling Camera is a new project bringing together some of the leading musicians on the British jazz scene. The result is an eclectic sound that recalls the work of Cinematic Orchestra and Sigur Rós, leading to Germany’s Stern to ask “Is this trip-hop, jazz or electropop?…It is as if Portishead, John Coltrane, Air and Massive Attack have merged together”. 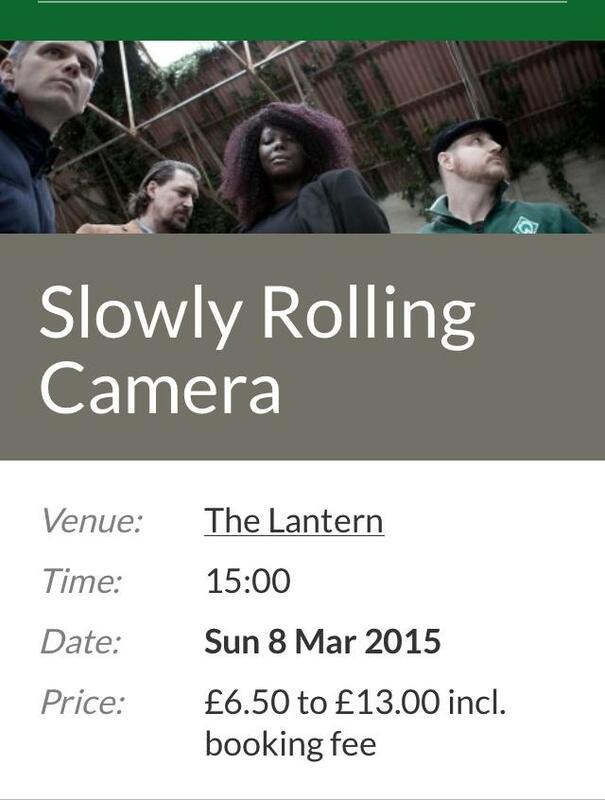 Slowly Rolling Camera is the collective name for Dave Stapleton, producer Deri Roberts, vocalist-lyricist Dionne Bennett and drummer Elliot Bennett, who have built a reputation as one of the most interesting projects emerging from the UK today. Drawing on a diverse range of influences, they create epic soundscapes encompassing elements of trip-hop and jazz, reminiscent of UK progressives Cinematic Orchestra and Portishead as well as the polychrome textures of maverick Scandinavian artists Sigur Ros. The debut self-titled LP, released in 2014 on Edition Records, was produced by Andy Allan who has previously worked alongside Portishead and Massive Attack.